The series follows the crew of the USS Discovery as they encounter new worlds and civilizations, delving into familiar themes and expanding upon an incident that has been talked about within the franchise's universe, but never fully explored. While patrolling Federation space, the U.S.S. Shenzhou encounters an object of unknown origin. Face to face with Klingon vessels, the U.S.S. Shenzhou prepares for the possibility of war if negotiations fail. 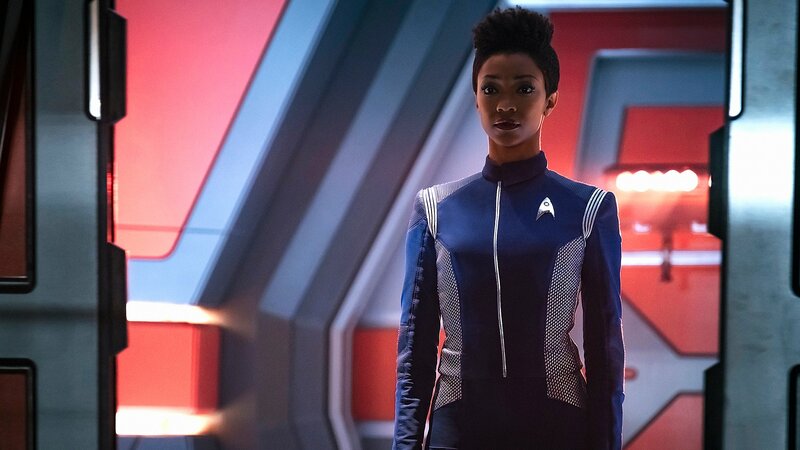 Burnham finds herself aboard the U.S.S. Discovery where she quickly realizes things are not as they seem. With tensions and stakes high, Burnham begins to settle in to her new position aboard the U.S.S. Discovery. While on a mission, Lorca unexpectedly finds himself in the company of prisoner of war Starfleet Lieutenant Ash Tyler. The U.S.S. Discovery crew is intrigued by new addition, Lt. Ash Tyler. As the Discovery crew attempts to let loose at a party, an unwelcome visitor comes aboard bringing about a twisted sequence of events. Bypassing Starfleet’s orders, Lorca uses the U.S.S. Discovery crew’s ultimate asset in an effort to end the war with the Klingons. The crew must get creative to survive against opposing forces and return home. Burnham undergoes a merciless mission in hopes of helping the U.S.S. Discovery return home. Tilly works on restoring Stamets’ neurofunction. Burnham heads to the ISS Charon with a special “gift” for the Emperor. Lorca plans to move forward with a coup against the Emperor, propelling Burnham to make a quick decision. Back on the U.S.S. Discovery, Burnham and the crew are faced with the harsh reality of the war during their absence. With Georgiou at the helm of the plan to end the Klingon war once and for all, the U.S.S. Discovery crew struggles to tolerate her tactics.